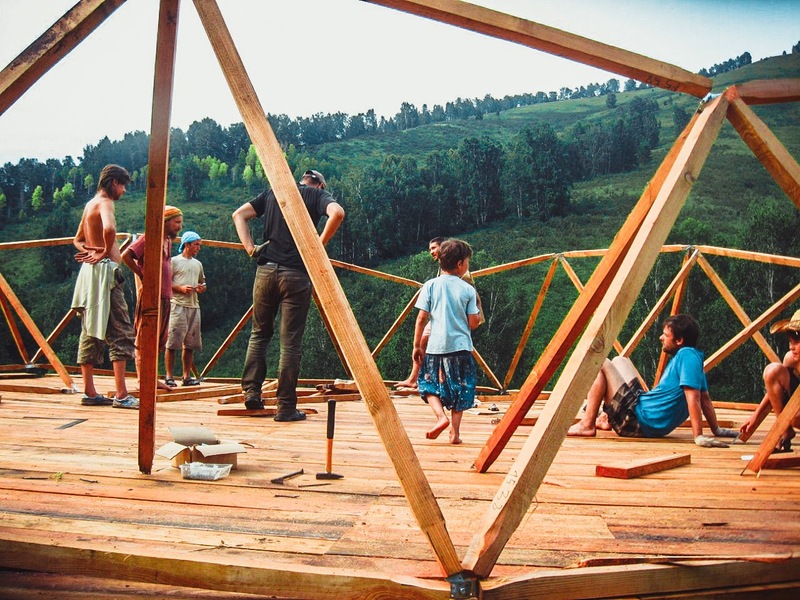 In 2013 a new powerful project came into the world - Integral Sustainability Education. Its founders– Ron Oren, Sasha Bezrodnova and Raquel Minako Kusunoki – active leaders of the new time that carry ideas of integral approach, self-responsibility, community work and new creative and intuitive teaching methods. 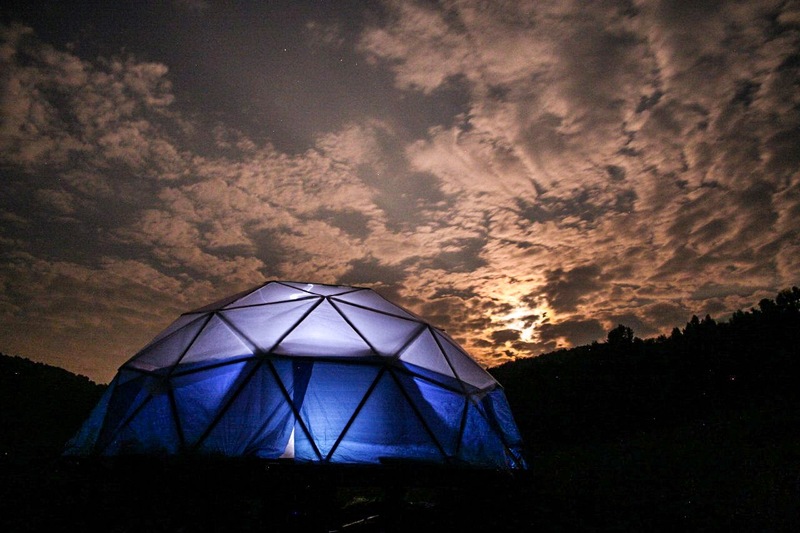 The main point of the project is to facilitate a transformation in the way humans live on Earth. To create ground for eco-community activists, leaders and consulters to grow and fulfill themselves. 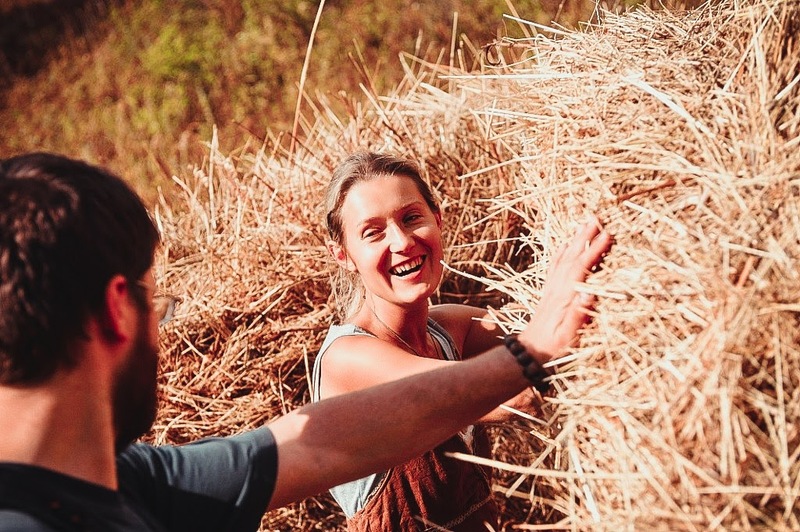 The founders of the ISE (Integral Sustainability Education) share the same dream: to organize an experience of a deep group process, where people would learn not just by studying with teachers, but also by researching, and applying the skills within the time of education, co-living and co-working. Passing through the joy and difficulties with the whole group, learning from a real experience of a long-term community life. «We started dreaming about creating new life style. We were thinking on how to interact with the planet harmonically, to grow plants and to combine it with body-and-mind awareness, through dance and other practices. Can a person really thrive? This is still an open question», - says Ron. For a long time they have been studying to feel their uniqueness, to value our personal qualities, to live independently. More than half of the century has gone under this slogan. However, the inherent quality of a human being to aim at inner silence, calmness and understanding from surrounding people – remains unrealized. 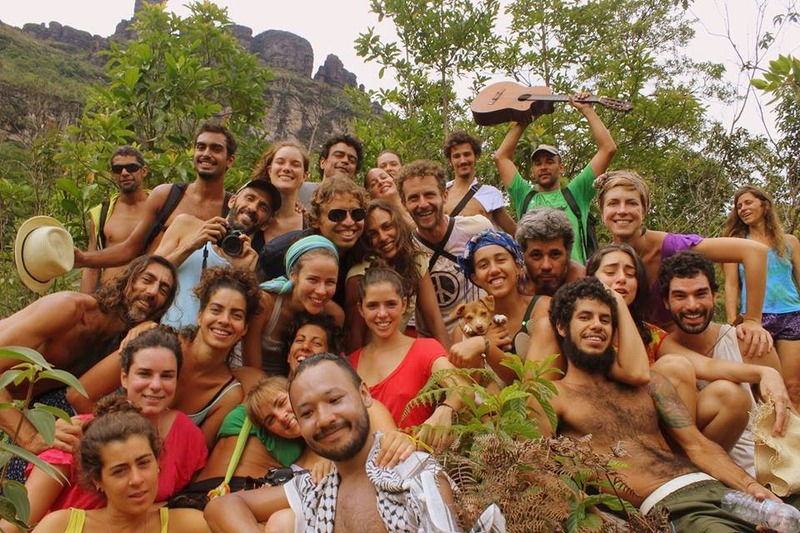 Integral Sustainability Education project is trying to answer the question: how can we live in harmony in a community and, at the same time, connect with our own uniqueness? Sasha Bezrodnova: «I see a lot of workshops of different approaches of human development, where people go, study and than come back to their "real life". Where some things work out, and some not. I see a need of long-term projects, where we could really research details of using the skills that we want to incorporate. For example, how to arrange one's life in a community - to share space, happiness, problems and even money? To subscribe under certain agreements, and than to follow these agreements… Or, for example, how am I going to arrange my time, while being part of a house construction process? Apart from the construction itself, which might last very long, I need to create time for my family, for my body and for my spiritual development… So the construction would not absorb me completely. I still want to be happy and joyful. This is the main point». European society was mostly based on a fragmentary approach towards a person, be it in medicine, politics or languages. Certainly, this lasted for many years. But now human needs are dictating something different: after long time enjoying disunity, we now turn to community in support of something new and mutual. According to the authors of Integral Sustainability Education, the main point is the project's name - to see one's own inner sustainable integrity and unity with the world. This happens through study, experiments and integration of different knowledge in all main areas of life - community, work, environment, creativity, body, spirituality and health. Ron: «Integral Sustainability is like an elephant: if you look at a group of blind people touching an elephant, we will notice that one is touching the legs, another the trunk, etc... As a result, everyone will have his/her own description of the elephant. But the Integral approach teaches how to sense and feel the whole elephant». Three places have been chosen for the project: Altai Mountains, Siberia (ChaChjaevka eco-village), Israel (Fairy Forest and/or Yatir Herbs farm) and Brazilian mountain forests (Chapada Diamantina). 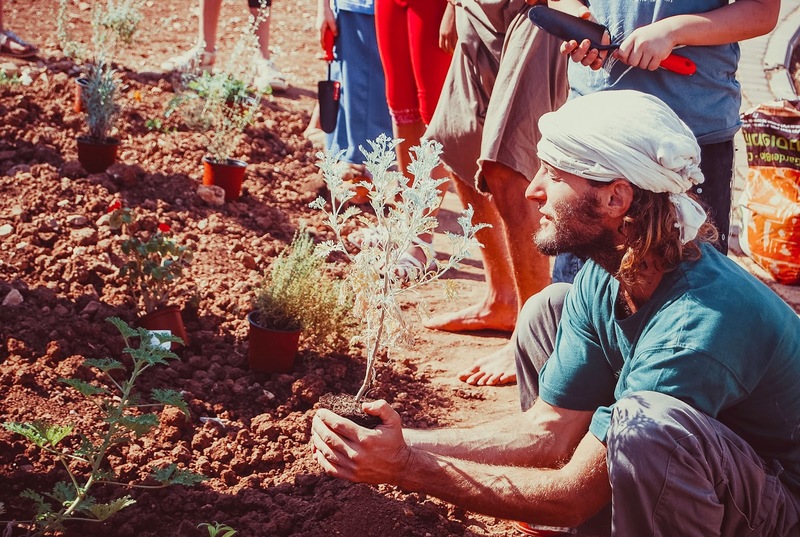 This choice provides participants experience of applying principles of Permaculture and Sustainability in diverse climate areas, as well to get to know diverse kinds of culture of relationship in between human-land and human-human. In every place participants of ISE project are gonna learn and co-create with the local community, practicing their knowledge in helping the place to be built and re-organized in a sustainable way. «Our first region is going to be Altai, ChaChajevka eco-village, place with a powerful shamanic energy, where different cultures are mixed. Technically, we are going to build the whole water system for this eco-village, to make a greenhouse and help to finish building some structures that have already been started. 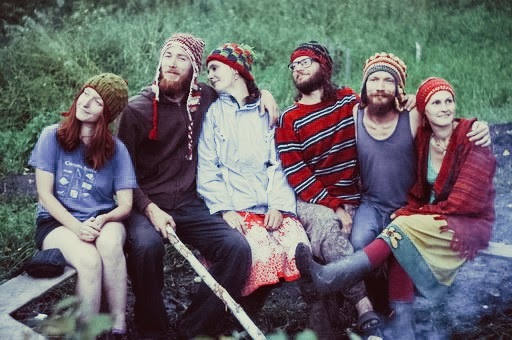 Siberian part will be more about staying in one place, feeling comfort, learning listening the nature and studying with the masters that live there. Special days will be devoted to visiting villages where we will learn from local farmers. There gonna be also a dance-performance project within our staying in ChaChjaevka. A two weeks exploration of site specific performance, lead by two international choreographers - Hugo Leonardo da Silva (Brazil) and Elad Schechter (Israel). Brazilian part will be focused on communication with local farmers and communities and exchanging with them. The spirit of our brazilian colleagues is to go more into integrating an eco-comunity with the local society. Passing the technologies of sustainable life and permaculture, but firstly listening to the local people and learning from their wisdom». Staying in each region is going to last from 2 to 5 months. Any person can come for one whole residence, or for all of them, or for a certain workshop within one residence. The limit for the group of participants is an average of 15 people. There is a registration process, filling in a questionnaire and a personal interview. According to the authors, the individual approach is important from the beginning so as to hear everyone and then to create a group of versatile interesting people regardless of nationalities or age. A big part of time will be devoted to workshops: Permaculture Design Course, Theta Healing, Quantum Listening (Working with emotions), Developmental Movement, Contact Improvisation, etc... Other days («happy living days») students will practice and apply all received knowledge in construction, growing plants, space planning and design, co-residence etc. 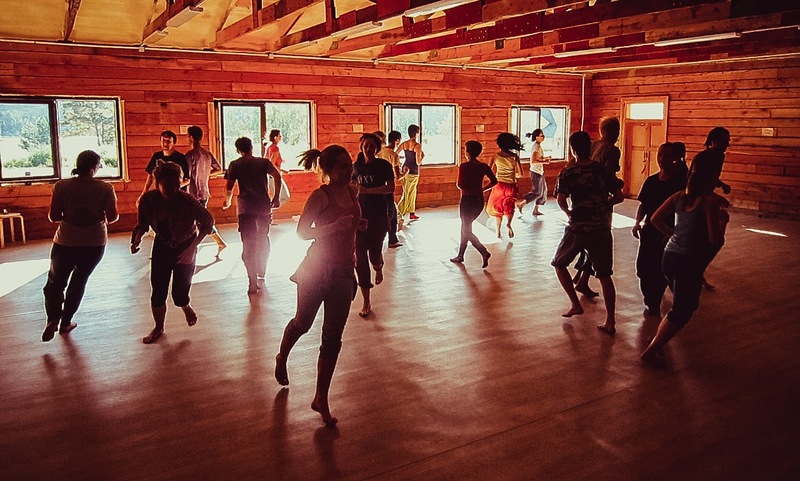 Every day of the project includes a time slot for focusing on body-movement: morning – yoga, Qi Gong or voice and movement; afternoons – Biodanza, Authentic Movement, Contact Improvisation or Body-work, taught also by guest teachers. The group process will be supported with Heart Circles of Sharing and weekly Planning Circles. In the course of learning process project leaders focus on several main directions. First: Emotional part. One of the most important project ideas is based on emotional «sustainability». Leaders emphasize that the most important thing is to find balance between one's own personal and social interests, it is important to monitor how everyone interacts with others and with oneself, how we create and refine space outside and within ourselves. 2 days a week (rest days) are going to be devoted to this internal work. Second: Body-Mind. How to develop the body awareness in a holistic approach, to take care of the body and let it express itself. Third: Ecological part: creating a sustainable, careful and respectful relationship with the Nature. Each of the founders has had great experience in dancing, body awareness, ecoprojects, energetic healing, various kinds of therapies and spiritual practices. Ron Oren (Israel), a professional Contemporary Dancer, has travelled a lot with eco-expeditions and has also been a designer and the head of various projects in eco-centers. Now his attention is more focussed on emotional and energetic work with consciousness and body practices: he teaches Theta healing, Biodanza and is studying new ways of achieving harmony with the world and people around him. Raquel Minako (Brazil) is a Pedagogue, teacher of Contact Improvisation, Body therapist, leader of woman empowerment practices; practicing and teaching Theta healing. In recent years she has been diving in her own research about group processes and human development at different levels (emotional, body wise, communication). Sasha Bezrodnova (Russia) is an organizer of Contact Improvisation festivals all over the world, teacher of Contact Improvisation, psychologist and free driver. During many years she has been studying and researching different body-mind modalities. Nowadays the project is rapidly growing stronger. Teachers and practitioners from all over the world are joining the project. The number of people that wish to participate is increasing (as in 2-3-month format, i.e. in short-term programs of workshops). 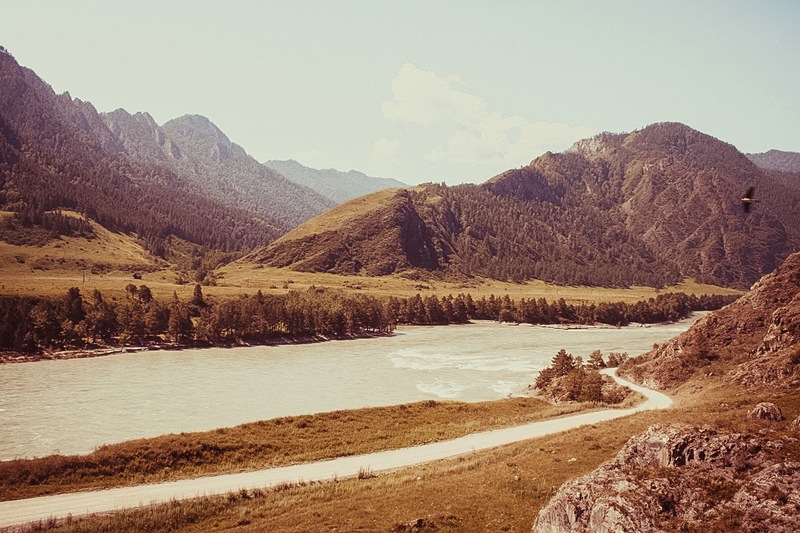 In 2014 the journey to Altai is expected and registration of participants is in high gear; then long-term journeys to Brazil and Israel are forthcoming. A countless number of new spaces with bright leaders, fresh impressions and opportunities for overall professional and personal growth lie ahead. We live in a wonderful time and stage of development. This is no longer a world that we can’t interact correctly - modern space gives us all necessary resources and mechanisms for solving our problems. And Integral Sustainability Education project confirms that. 1. Information. Now the project needs support from the Mass Media and various funds.